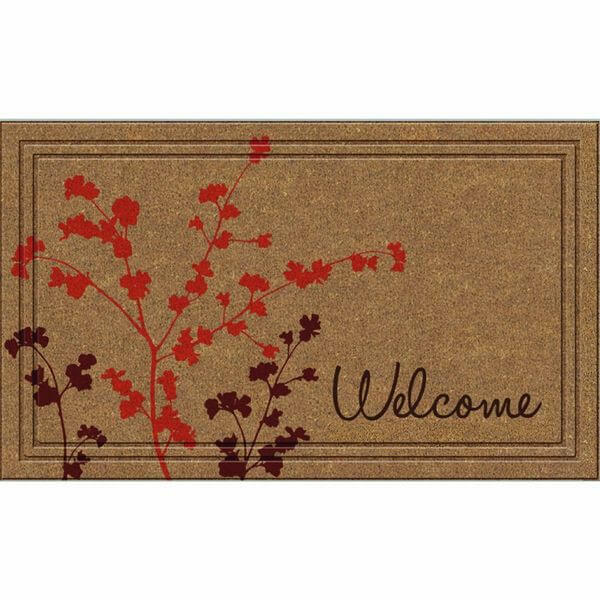 The Apache Mills Naturelles Simple Welcome Door Mat features fall colors but with a neutral design that allows it to be used in any season. Stain resistant, the mat can hold a large amount of water, making it ideal for use in entryways that receive heavy foot traffic with dirty, wet shoes. 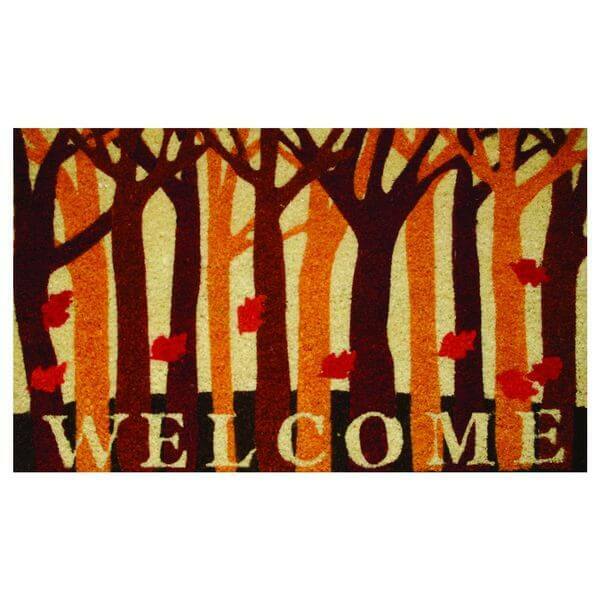 Welcome fall with the Home & More Fall Leaves Doormat, a colorful mat that is printed with fade and bleed-resistant inks to help it stand the test of time. Able to absorb dirt and moisture with ease, the mat is made out of natural coconut coir mounted on non-slip vinyl. The Magnet Works, Ltd. 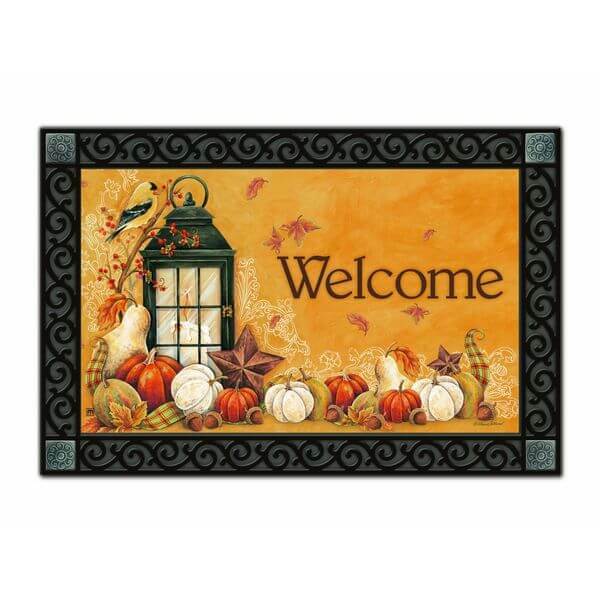 Autumn Lantern Mat will welcome guests with the beauty of autumn and make the perfect first impression. Measuring 30 inches by 28 inches in size, the mat is suitable for indoor and outdoor use and is made out of high quality materials to ensure durability. 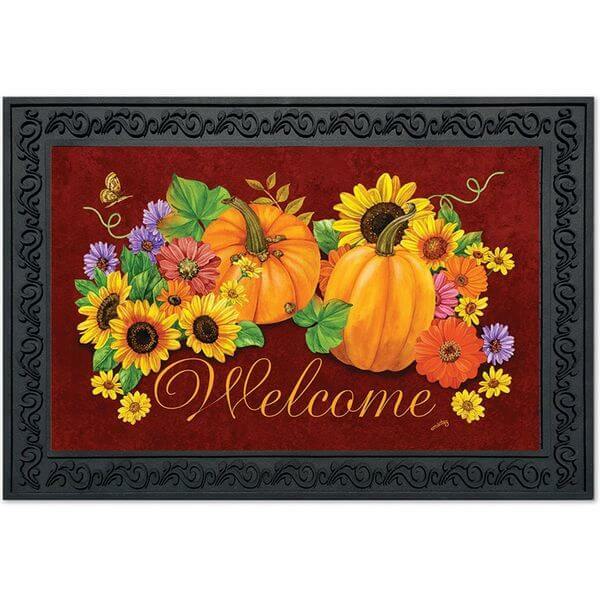 Get into the spirit of the fall season with the Fall Glory Floral Doormat Welcome Pumpkins. Its highly detailed colorful fall image is printed on fade-resistant material, so you can use the mat year after year. Non-skid rubber backing allows the mat to remain in place without slipping and sliding. 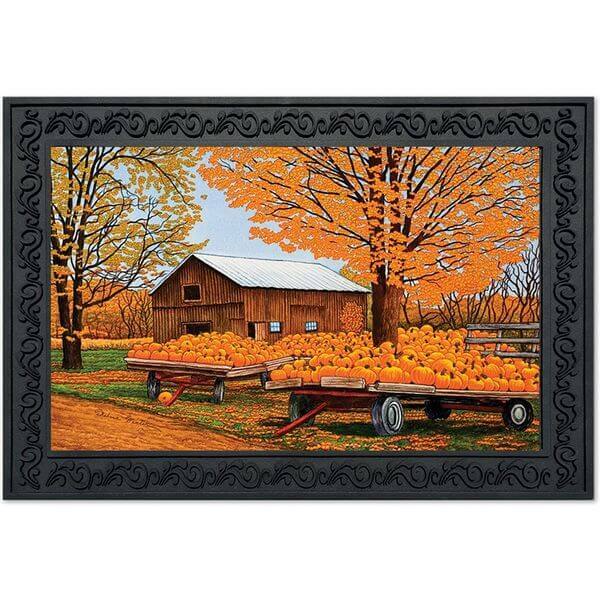 A beautiful fall scene will greet guests at the door when you place the Pumpkinville Farm Scene Fall Doormat in your entryway. 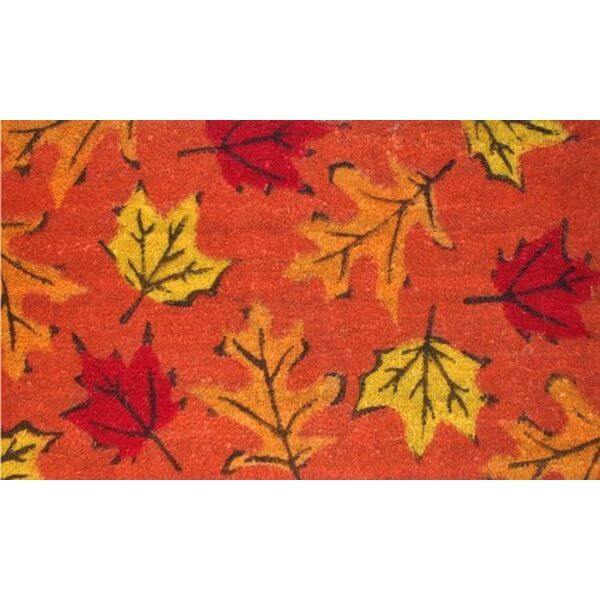 The colorful autumn landscape is printed on polyester, which resists fading and the effects of weather. Its debossed frame is fabricated out of heavy-duty non-slip rubber.